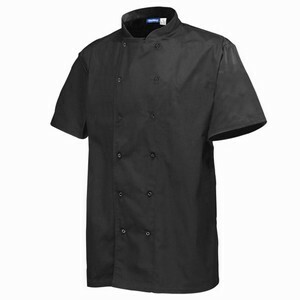 Look smart and feel comfortable with this Chef's Basic Stud Short Sleeve Jacket in black. 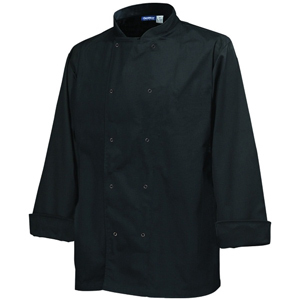 Ideal for professional chefs, it offers a hygienic and practical uniform. 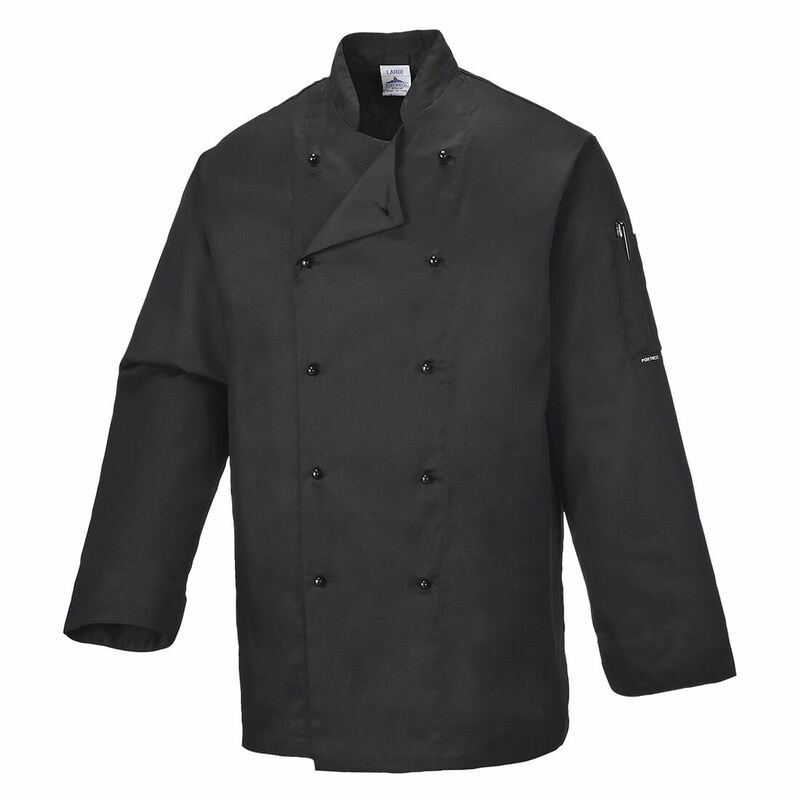 Made from a polycotton mix, this jacket has press stud fastening for ease of use.